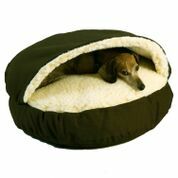 Cozy Cave Dog Beds are nesting dog beds providing a secure space for pets to rest and feel safe. The hooded pet bed is great for pets who enjoy staying under the covers. Some dog breeds, such as dachshunds and terriers, prefer the extra feeling of security by wrapping themselves up in bed, making cave dog beds the perfect choice. 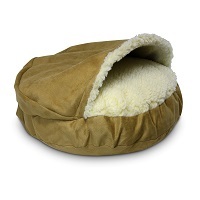 Hooded Cave Pet beds are perfect for both cats and dogs. 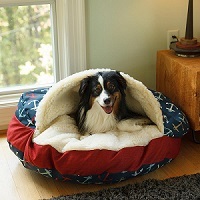 Cave pet beds are available in a variety of solid and patterned colors.